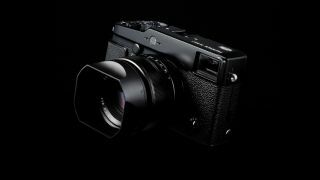 Fuji has said that it will look at all areas of the compact system camera market, and is investigating the idea of a more affordable camera than the X Pro1, which retails for £1500 body only. Speaking to TechRadar, Adrian Clarke, Fujifilm's senior vice president for Imaging said, "You need to maximise your investment on developing the standard, so we need to look carefully at each marketplace and work out if we can offer something better and different to users." Clarke said that the marketplace was clearly defined into three separate areas: step-up cameras, which includes products such as the Nikon J1; enthusiast cameras, which includes models such as the Panasonic G3 and the advanced enthusiast or pro space, which is where its current X Pro1 sits, alongside other models including the Sony NEX-7 and the Olympus OM-D.
"We'll be looking at each segment in detail and deciding what to do, we'll be looking at expanding the system, not only to pros but also to marked amateurs, so that will be our direction and absolutely we'll be adding new cameras to the range." Previously, Clarke said that introducing a CSC with a large, full-frame sensor, as seen on the Leica M9 was also an option, but argued that would be an incredibly niche market. Panasonic, which introduced mirrorless cameras into the UK back in 2008, is the big player in the CSC market, still retaining its number one position, so it will be interesting to see what happens should Fuji decide to enter its territory.